God created you too powerful, to neglect who you are, while trying to be something someone else wants. Purpose to be whom Christ anointed you, on purpose. You are an original. You are a goldmine because there is gold (Glory) within you. No matter what you have been through, regardless of what you may have done, or what has been done to you, it didn’t and cannot take your value from you. 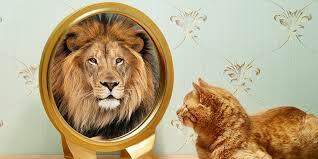 There are too many copycats, in the world, but you are anointed to be “you,” in the world. Rise up and be greatest “you,” God created you, to be, today! Yes, you are an original! Thank God for his making us unique! Amen! I don’t want to be anyone else or like no one else. I am happy being who God has created me to be.